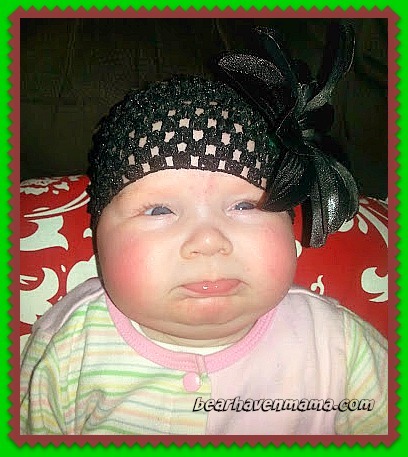 Apparently Sweet Pea did not like the headband I made her as you can tell. And yes folks, her cheeks really are this chubby! This is one of those photos to save for an 18th birthday or future husband! Thanks for linking up with Wordless Wednesday!